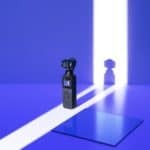 Following many months of speculation, DJI have finally revealed their latest product, the compact and impressive DJI Spark, but is the price-point overly optimistic for a drone capable of only 1080p. 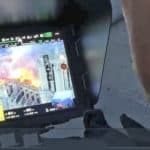 DJI struggled to keep this product quiet, months prior to the official launch today, images and even video were leaked revealing the drone, app and even flight test footage. Today DJI official revealed Spark and it has so far been met with positive reaction due to the size, functionality and featured packed specification. 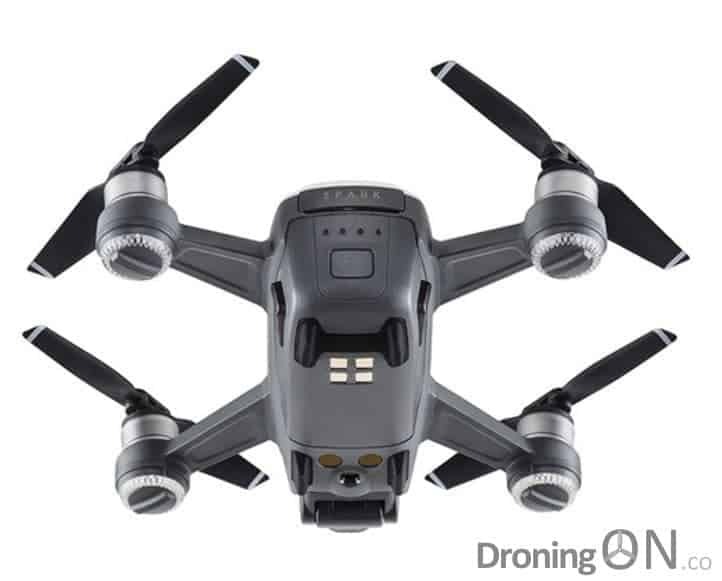 It is an odd choice for the DJI Spark not to incorporate folding arms, after-all that would have significantly reduced the core size of the drone during transport. Existing small-scale drones, such as the Dobby from ZeroTech, have been incredibly successful in the market but they do not incorporate a gimbal and that has limited the quality of the video footage. The DJI Spark is an impressive, compact and truly portable drone! Overall, the size and weight of the DJI Spark allows it to be legitimately pocket-sized, even with the fixed arms. Prop guards are also available for the DJI Spark and are not included in the standard package. Charging is a ‘breeze’ with the DJI Spark, it features a USB port which can be used to charge it without the need for a full-size charger. Despite its tiny size, the DJI Spark packs in features which would normally be found only on larger devices, and even sporting a flight time far beyond that of competing small-scale drones. The impressive sensor array of the DJI Spark. The weight of 300g (50g above the previously imposed FAA restriction for registration) will no longer be of concern to those based in the USA. 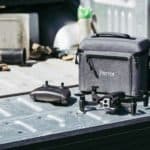 Drone manufacturers such as Wingsland, Dobby, Vantage Robotics and others have struggled or failed to incorporate viable obstacle avoidance into their miniature drone projects, DJI appear to have succeeded. The DJI Spark with its 2-axis gimbal and 1080p camera, capable of 30fps video. A disappointment for some eager customers will be the limited video and photo resolution of only 1080p @ 30fps, far below the 4K promised by the pre-order campaign for Snap (Vantage Robotics) and delivered by Wingsland with their S6 drone, despite the lack of mechanical gimbal. The camera is even attached to a mechanical gimbal providing 2-axis stabilisation which should be adequate for more purposes. The missing axis is for yaw but once in straight-line flying motion, the lack of stabilisation here will be almost unnoticeable. And the DJI Spark even has a transmitter which utilises a smart-device but this is at an additional cost within the ‘Fly More Combo’. 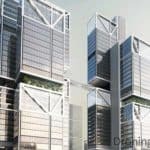 Customers may however be frustrated by the limited control range of only 2km for FCC compliant countries (USA), only 500m for CE (UK), but with such a limited flight time, it would not be wise for DJI to have provided a greater range. The DJI Spark, palm sized and controllable via gesture movements. 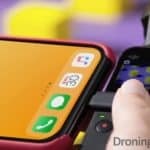 As an additional option, the DJI Spark can be flown with WiFi smart-device control alone, therefore negating the requirement to carry the transmitter with you, although in this mode the control range is limited to around 100m. 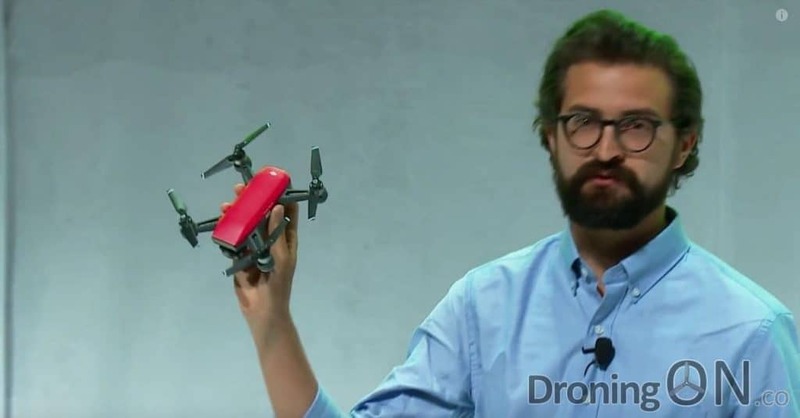 But the DJI Spark can even fly without either, using gesture control alone you can power-up Spark and fly by controlling it with just your hand. The onboard battery consists of a generous 3 cell lithium polymer but a capacity of only 1480mah, it is impressive that DJI have managed to squeeze a flight time of 16 minutes out of this moderately-sized pack, although as with all DJI products only the real-world flight tests will provide a true flight time. 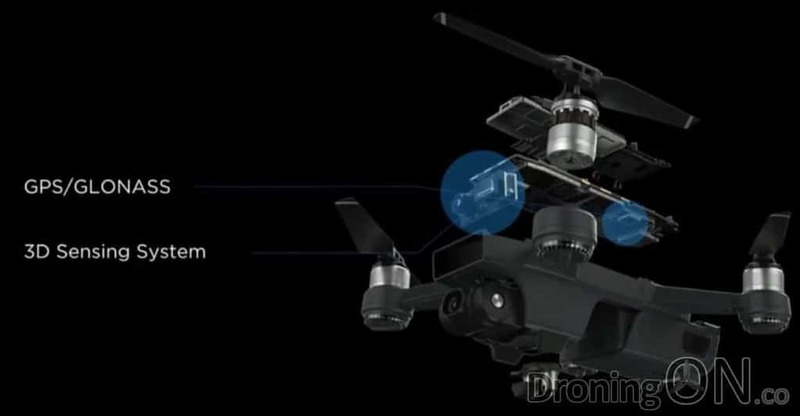 The underside of the DJI Spark, showing the sensors, ultrasonic and optical flow cameras. Stable indoor flight has always proven to be a challenge for drone manufacturers, DJI have utilised their proven VPS (Vision Positioning System) technology to keep DJI Spark hovering on the spot, even without GPS coverage. 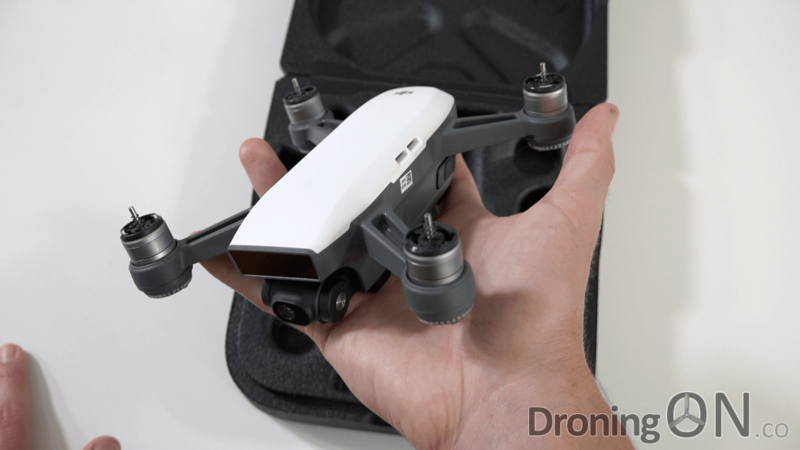 It was always hoped that the DJI Spark would be priced competitively, at an affordable but realistic level but at $499 (USA) and £519 (UK), this new drone not cheap. If you require the transmitter and additional accessories then the price rises to $699 (USA) and £699 (UK) respectively. 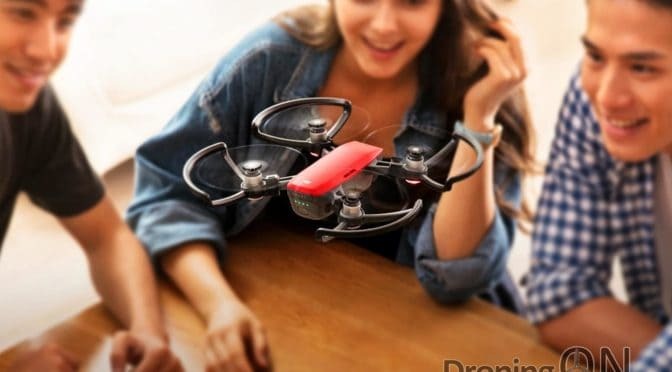 It has to be considered that due to its specification and the proven DJI flight controller platform that it warrants the premium price, but for a drone targeted at the ‘selfie’ crowd, it may be just a little too costly. Once again, DJI have set the benchmark high for this class of drone, current pre-order campaigns may struggle to retain their patient customers over the coming months if they do not deliver. You can buy the DJI Spark directly from DJI, but demand will be high and so place your pre-order quickly to avoid delay. At this time, only the ‘white’ Spark is still available. A number of DJI Spark reviews have already appeared on YouTube from the lucky recipients of early production models. Be sure to join the DroningON Discussion Group for the latest in drone news, reviews, exclusives and interviews!